This article shows how Apple Customer Service can be strategic in reducing customer pain points through the use of Lean and Six Sigma. In some organizations, the Customer Service function is largely viewed as a cost center, draining resources of the firm. I maintain that this viewpoint is largely false and is one that less mature companies support. I believe that Customer Service is an accurate litmus test of the overall health of the firm — indeed, Customer Service can play a very strategic role in the overall health of the product, service, and Firm. In what follows, I’ll take a hypothetical iPhone Case Study and show how Customer Service in this example plays a pivotal role in the overall iPhone Supply Chain — how Customer Service is a key player in the overall product value chain. In a supply chain network, the Strategic Fit of Customer Service is often the voice-of-the-customer post-release of the service or product. The phrase “start with the customer and work backwards” is really a misnomer. Why? Well, in most products or services, it really starts with the customer and ends with the customer — that is, the customer’s voice is heard at the level of product design and then the voice-of-the-customer is heard at the market monitoring level, post-release of the product or service. Samsung: The Singapore facility manufactures CPU and Video processing chips. Infineon: The Singapore facility manufactures Baseband Communications hardware. Primax Electronics: The Taiwan facility manufactures Digital Camera Modules. 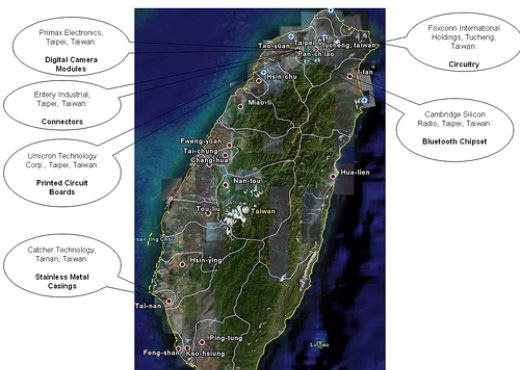 Foxconn International: The Taiwan facility manufactures internal circuitry. Entery Industrial: The Taiwan facility manufactures connectors. Cambridge Silicon: The Taiwan facility manufactures bluetooth chipsets. Umicron Technology: The Taiwan facility manufactures printed circuit boards. Catcher Technology: The Taiwan facility manufactures stainless metal casings. Broadcomm: The U.S. based facility builds touch screen controllers. Marvell: The U.S. based facility builds 802.11 specific parts. The Apple Shenzhen, China facility assembles the hardware, holds inventory, and handles the pick, pack, and ship steps of the fulfillment process. 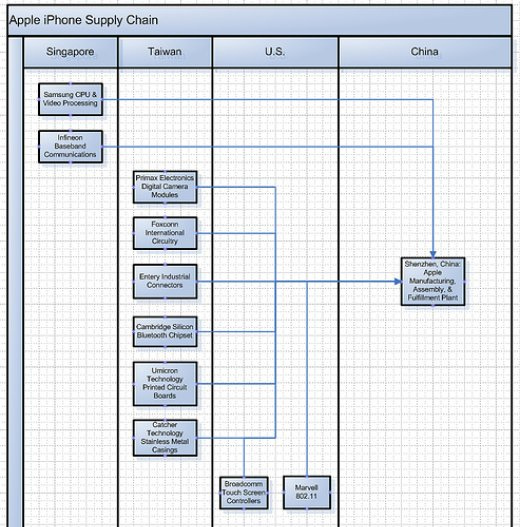 If I am correct in my research and assertions in this article, Taiwan supplies 6 of the 10 parts that comprise the Apple iPhone. This can be viewed as a strategic approach by Apple, concentrating sourcing the majority of the parts from one country, or this could be seen as a bottleneck or constraint — a potential risk: if there is any turmoil in political economy in Taiwan, then material and product flow might be disrupted. We also know that the Austin, Texas Apple Operation is largely where Apple Care physically sits, with another office just outside of Sacramento, California. So, for any contacts into their Call Center, then that is most likely where the contacts will enter (they also have, we understand, outsourcing partners, but the Austin, Texas Apple Care is the headquarters). When a product is released into the market, there can be many channels of market monitoring of the health of the product. In the medical device or pharmaceutical industry, where I once worked, the Market Monitoring phase of the product lifecycle represents a large portion of the product, especially in how it meets regulatory concerns, etc. Marketing and Public Relations also have an especial interest in market monitoring since the voice-of-the-customer post-release can and, usually does, help the firm improve their product or service. Apple Care (Apple iPhone Customer Service) has a program for collecting product health, post-release, of the product. 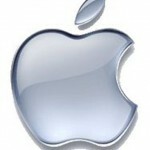 These can be from inbound contacts to the Apple Customer Service or through blogs or through message boards. In this program, Apple has a simple and elegant way of making that information actionable, involving collecting data, stratifying of the data, root cause analysis, then practical countermeasures to improve the iPhone through upcoming releases of the product. The first column shows very broad defects as reported by the iPhone customers. On the right column are the simple counts. This is called a check sheet. Other variants of this simple quality tool are to collect by day, time, shift, product color, version, etc. 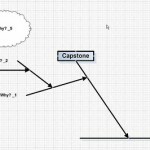 The above picture is a Pareto Chart, showing the check sheet data, in visual format. 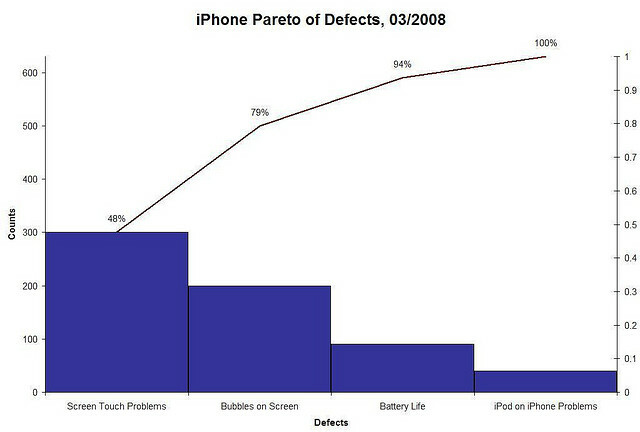 As a consumer of this data, the Apple Customer Service folks might want to pay closer attention to the first and second bars of the Pareto, because those two bars represent “iPhone Touch Screen” defects. The next step, then, in the lifecycle of product monitoring and improvement is to conduct a Root Cause Analysis, focused on areas where the opportunity trade-off is good. In other words, to truly get-to-the-heart of Touch Screen defects, Apple must meet with the suppliers of the iPhone Touch Screen technologies. 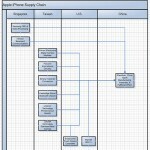 Based on the Supply Chain network drawn above, Apple should meet with BroadComm, the supplier of the iPhone Touch Screen technologies. In that meeting, both Apple and the supplier can look over the data, go to the Gemba, and conduct root cause analysis on what’s going on with the Touch Screen. 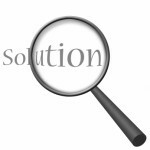 There are several tools that can aid in the process of Root Cause Analysis. 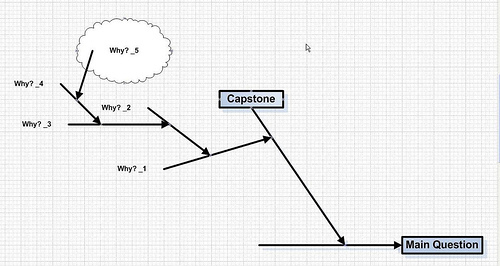 Basically, it is a simple approach of asking “why” several times until you arrive at an atomic but actionable item (see Jeff Bezos conduct Root Cause Analysis). 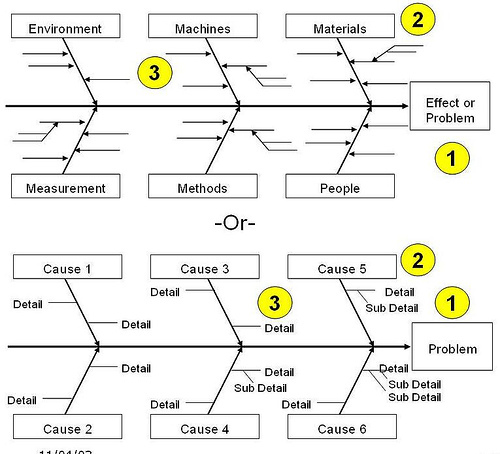 To visually view the process of the “5-why’s”, a tool called an (Ishikawa Diagram) or a (Cause-and-Effect Diagram) or a (Fishbone Diagram) is often helpful — this tool is referred by either of these names. Once the Apple folks and the Apple iPhone Touch Screen supplier arrive at the root causes of the iPhone Touch Screen defects, then the supplier needs to put-in-place countermeasures so that the next shipment of the Touch Screen — perhaps in the next version of the iPhone — won’t have this defect anymore. In fact, there can be much Public Relations and Marketing campaigns from this effort: Apple can show the public that it has listened the concerns of the market; Apple has done this by fixing the defects that most pains that market, in relation to the iPhone product. There can be much branding from an effort like this. 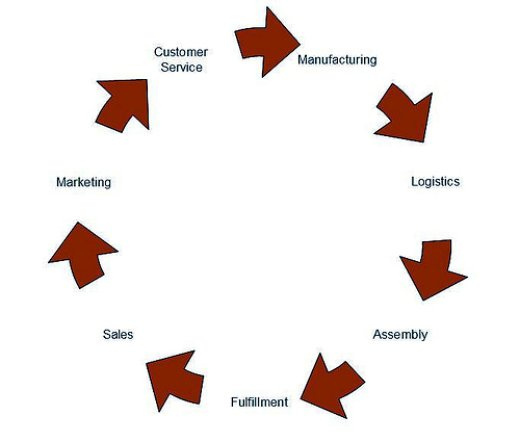 Customer Service plays a key role in the value chain of a product or service. Some firms view and, consequently behave, as if Customer Service were simply a cost center. These firms miss the point altogether: Customer Service is a major vehicle for hearing and learning about what the market is perceiving and feeling and experiencing from our products or services. This data and information can be made actionable through the strategic and smart utilization of Customer Service. The data above is only hypothetical (but pretty dang accurate). The process above works and, if done strategically and with an eye toward the customer, then Customer Service can be a major player in how our products and services can be improved and how we can shape the signals we send to the market and, consequently, how the market can begin to perceive the firm. Invitation: Apple can join the other companies that have sent me free stuff here. This is indeed nice. This will put iPhone in demand for a long time because a good product should always be backed up by a good customer service. Great writeup Pete! I agree completely. Too many companies overlook the value that customer support organizations can provide and choose to see it only as a cost center. Companies like Apple will continue to ‘get it right’ when it comes to their products as long as they continue to put so much focus on what the customer is saying. I’ve often told people that I could be a wealthy man if I could show the direct affects of customer service on revenue. We all know that people don’t like to buy where there is no service, but how much. We also know that the bulk of the direct contact with the custsomer happens at customer service. This is where you have the opportunity to teach/train your customer to properly use your product or where to find the benefit in your product, which equals sales. It is also where you have the opportunity to hear feedback on how to improve your product, which equals sales. Summary – Good Customer Service = Sales, Bad Customer Service is a cost center, draining resources.